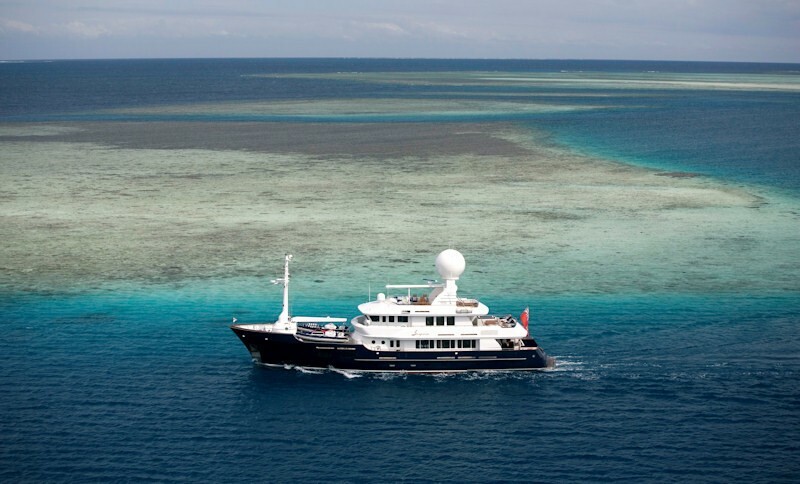 Luxury yacht KOI (ex Surprise) is a 115 foot / 35m motor yacht which has been specifically designed for dual roles - both for serious expedition adventure and also luxurious comfort when cruising. 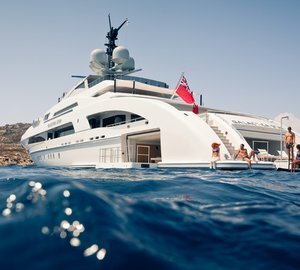 Accordingly, while Motor Yacht KOI is safe, strong, seaworthy and capable of long range journeys, she is also comprehensively laid out for luxuriously relaxed cruising adventures worldwide. 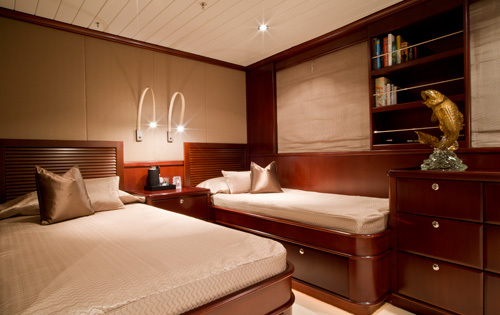 Motor yacht KOI (ex Surprise) provides elegant interior accommodations which are spread out spaciously over four main decks. 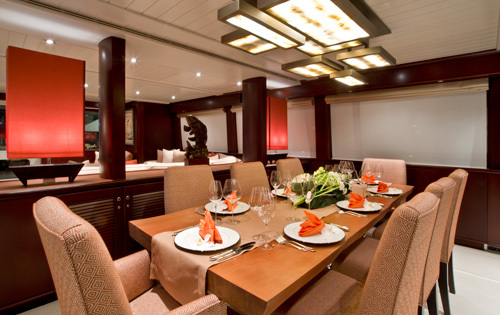 KOI's interior envelops her guests with a serene ambiance and with comfort and style. 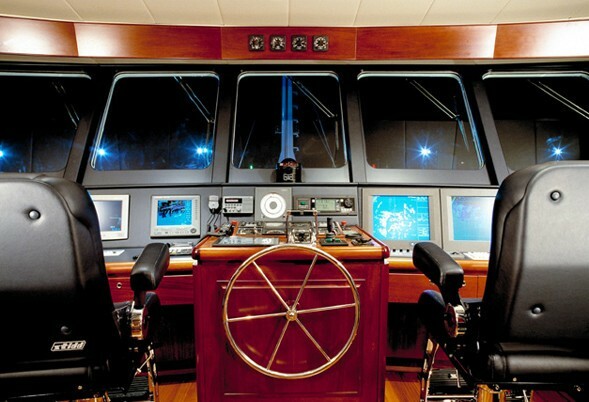 Her powerful climate control systems keep internal temperatures perfect for all aboard. 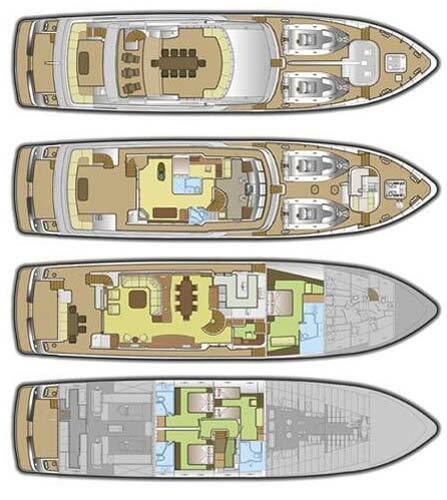 This makes the yacht suitable for either - chartering in the tropics or even up higher in the higher cooler latitudes. 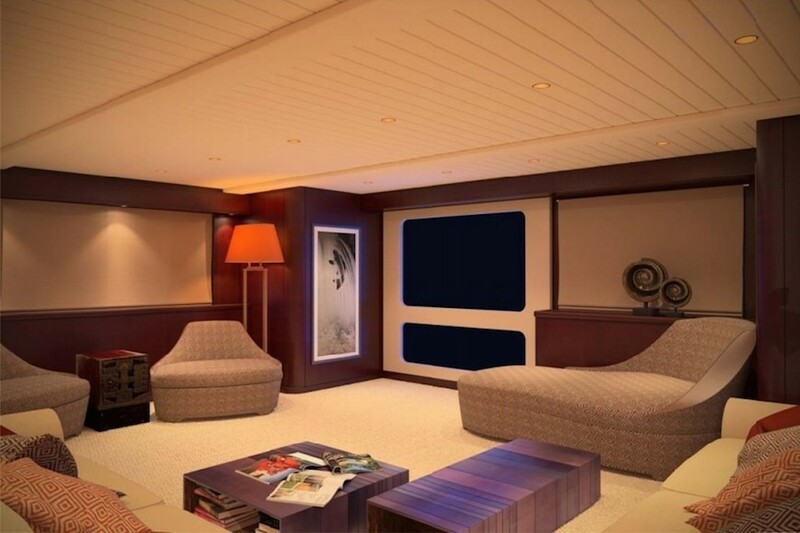 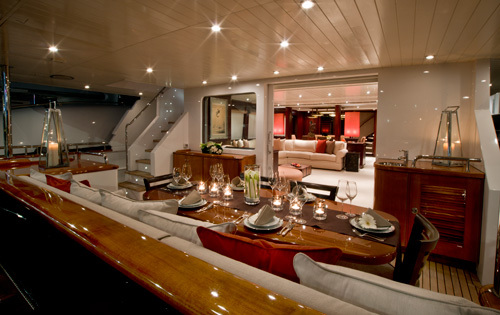 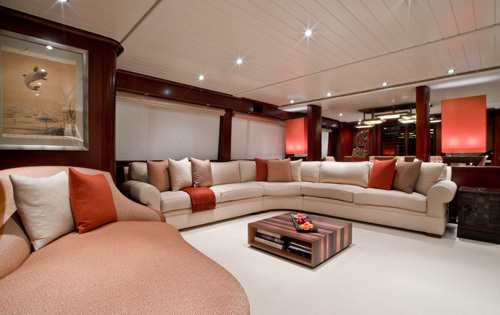 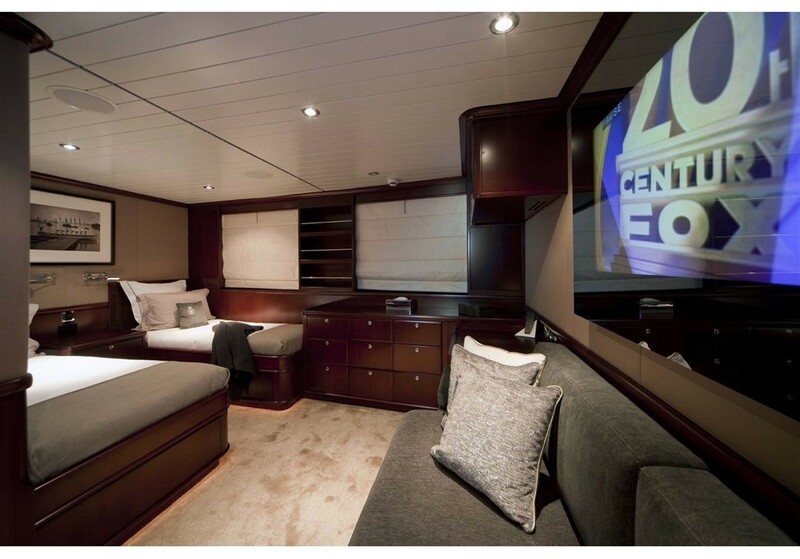 Luxury charter yacht KOI conveys an interior atmosphere and styling inspired by Asian themes. 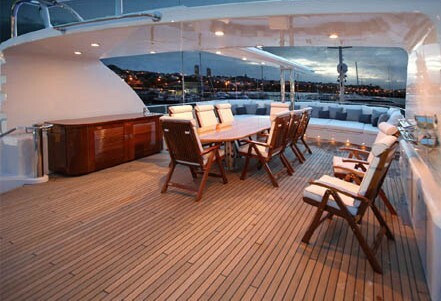 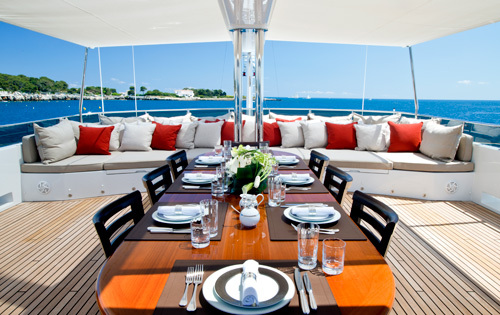 She offers a clever collection of both casual, formal and alfresco dining options on three of her four main decks. 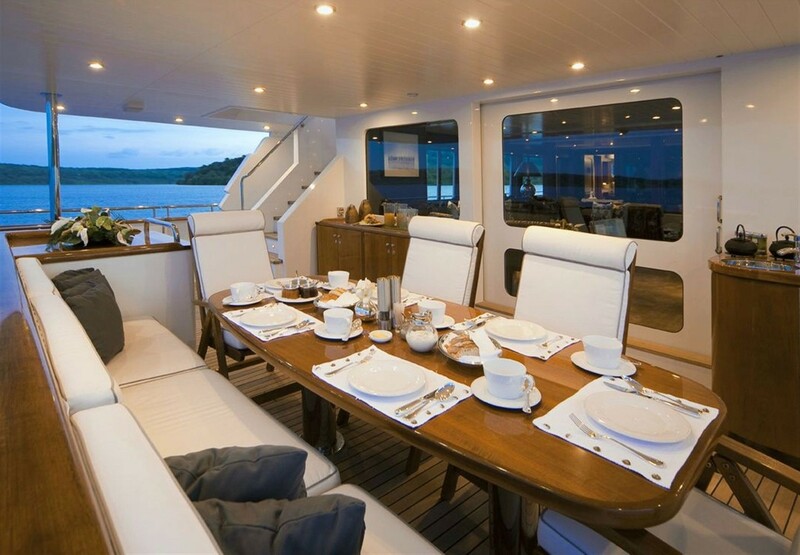 Motor yacht KOI has a sky lounge with lovely and inviting settees and formal dining options in the main saloon area, where up to 10 charter guests can be entertained. 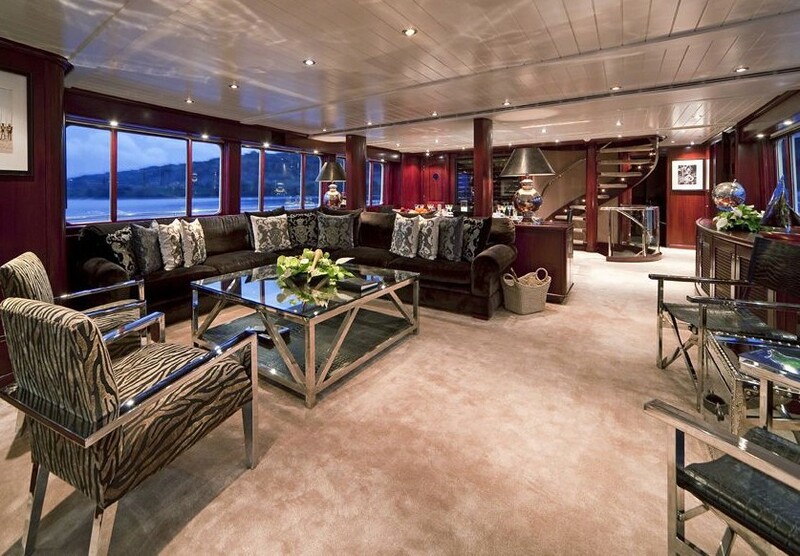 This space also boasts impressive windows to provide panoramic views of the beautiful locations outside. 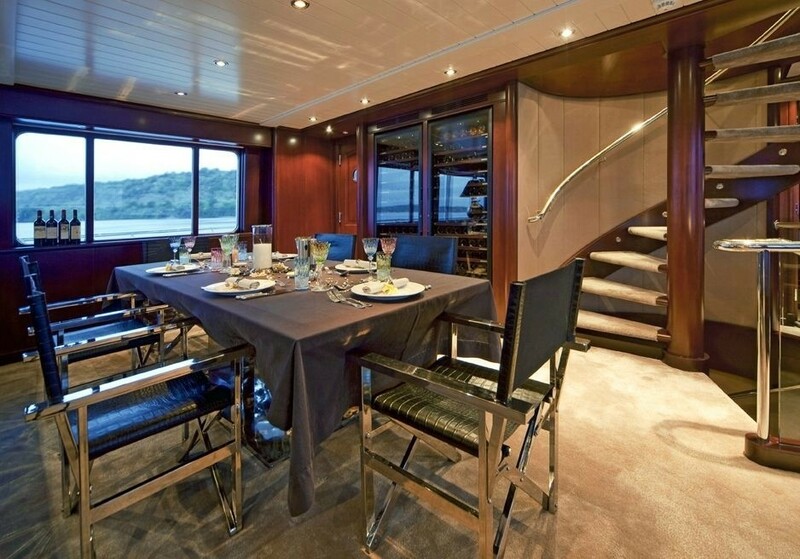 While dining, you will be attentively served by your professional crew, via the adjoining commercially appointed galley. 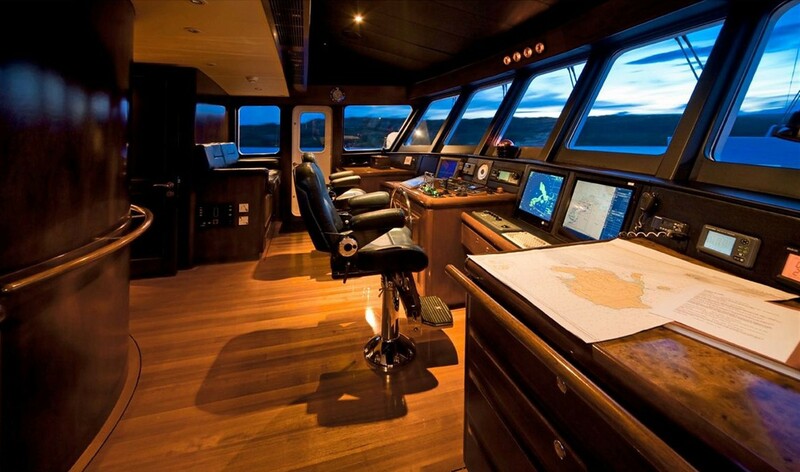 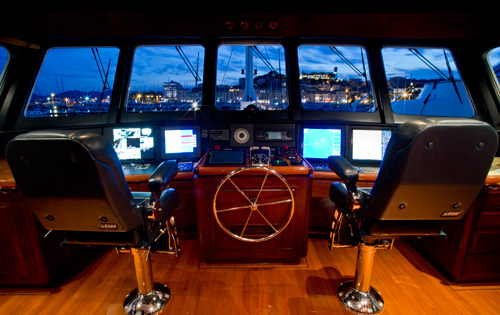 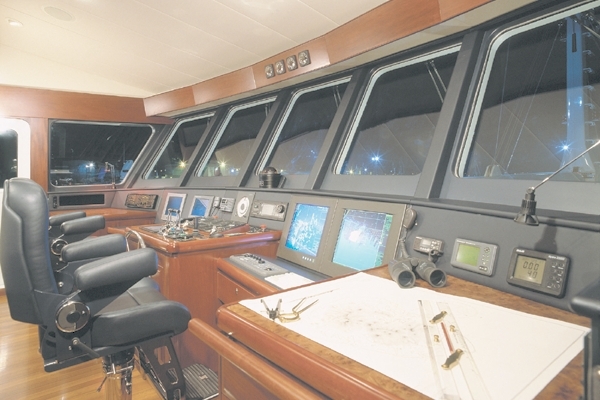 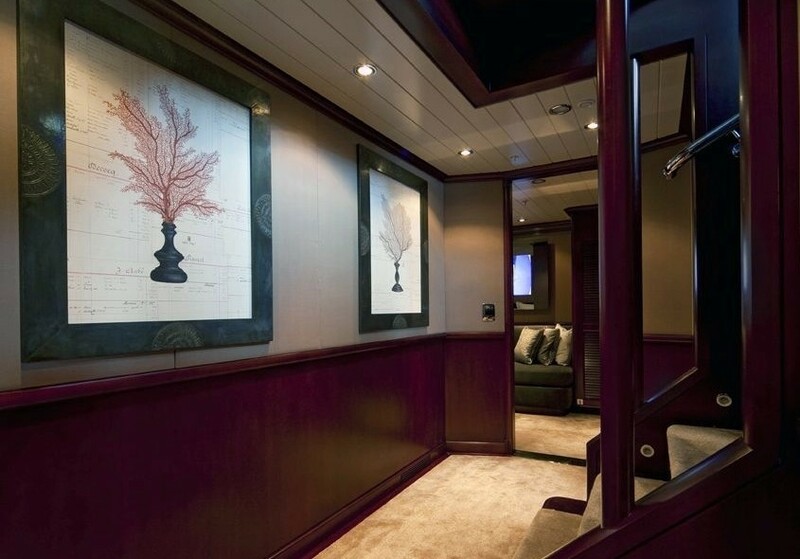 The bridge on charter yacht KOI has been generously equipped with the latest electronics for navigation and communication while also elegantly finished in leather and mahogany. 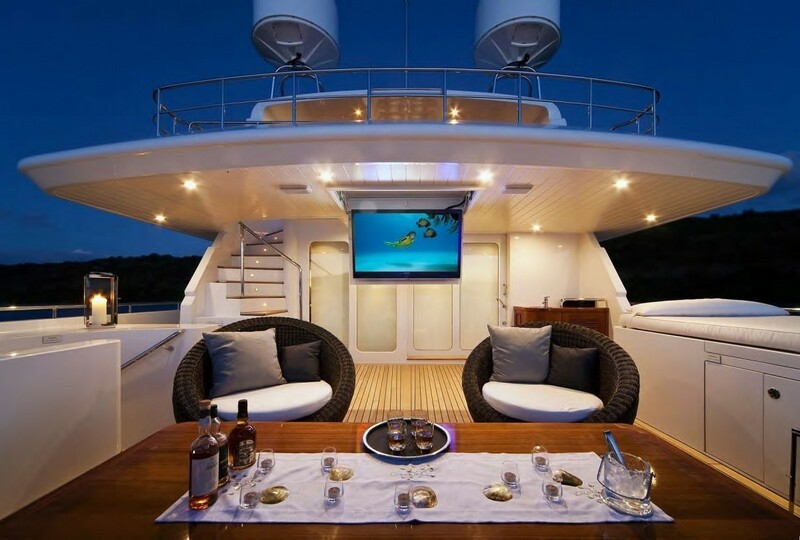 She also provides state of the art electric entertainment systems and worldwide communications equipment to ensure that charter guests can stay in touch the world, or escape, to whatever degree they desire. 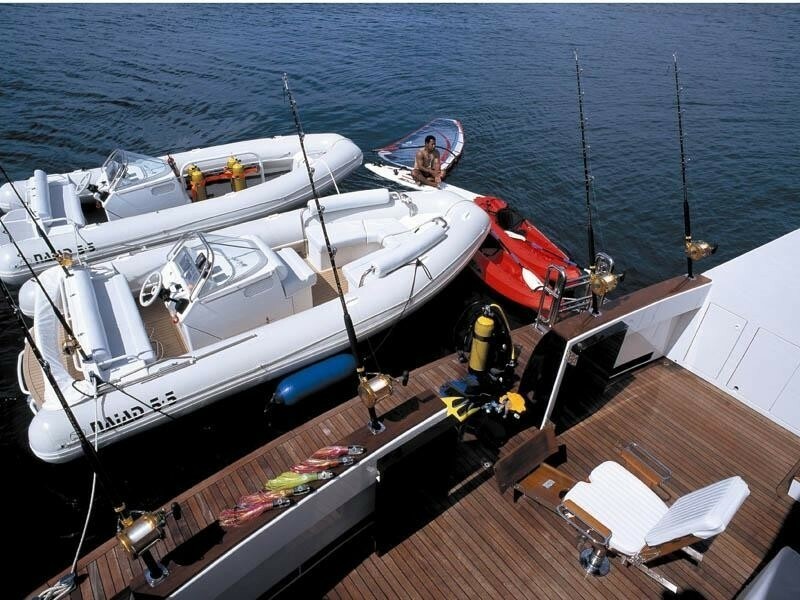 Off course KOI is also fully equipped for serious outdoor fun with full Diving, game fishing equipment, and plenty of additional water toys. 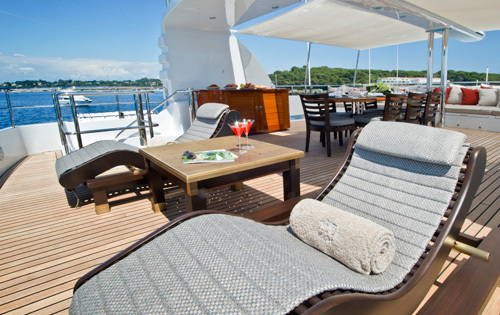 Or if you prefer, you can just relax in the sun on her upper deck. 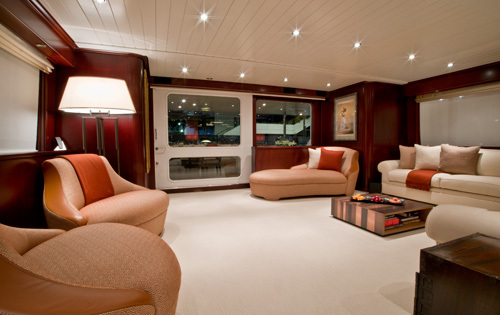 KOI can accommodate whatever the level of action and activity you require. 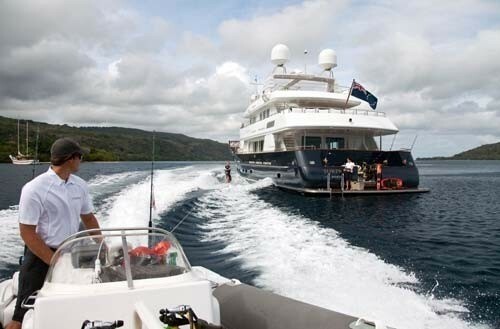 Luxury motor yacht KOI (previously Surprise) was honored at the Fort Lauderdale Boat Show (October 2002) as the winner of the International Superyacht Design Award for best power vessel in the 32 to 43 metre in length category. 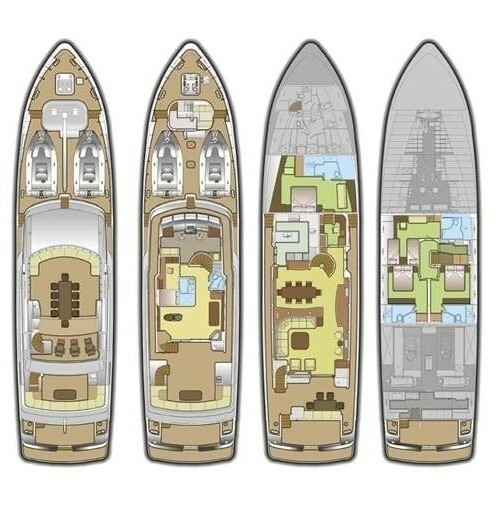 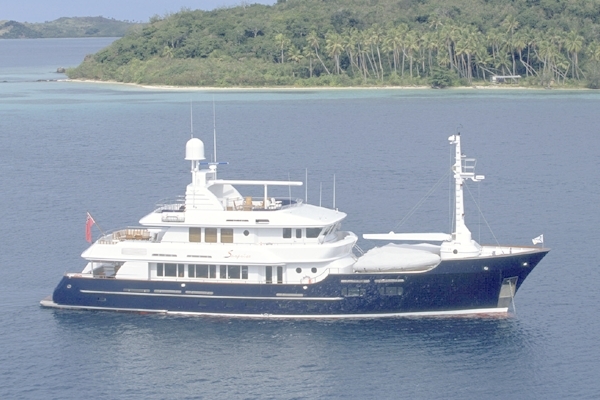 Mediterranean and Caribbean motor yacht KOI was designed by Ward Setzer, her builders where McMullen and Wing and to Ann Motion designed her interior. 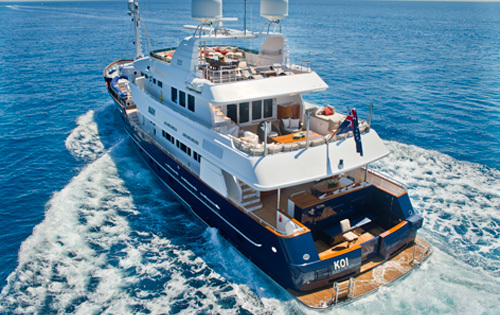 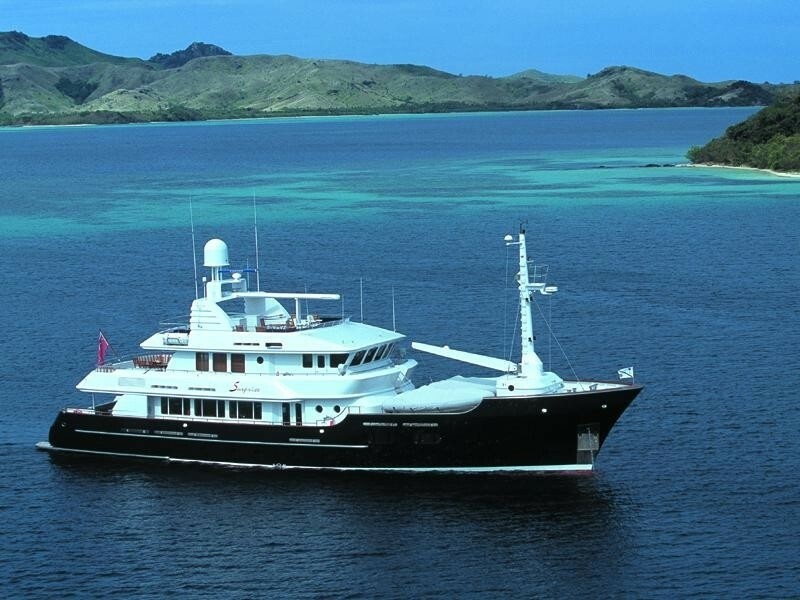 Motor yacht KOI completed an extensive refit in August 2009 in New Zealand which included Zero speed stabilizers and new interior. 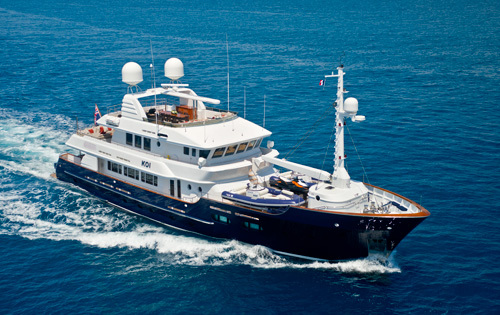 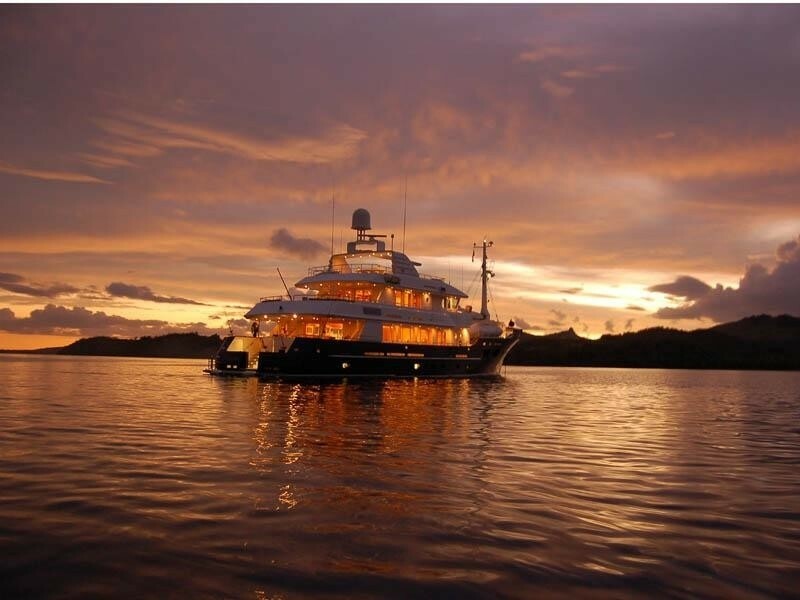 In 2011 superyacht KOI received a 5 year ABS Survey and partially painted exterior. 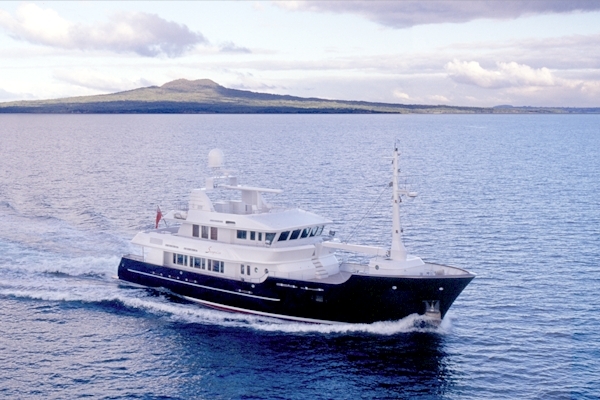 Her 2014 refit included: complete interior refit, brand new generators, IT upgrades including a 4G router, AV upgrades of the entertainment systems and a major main engine service, amongst many other improvements. 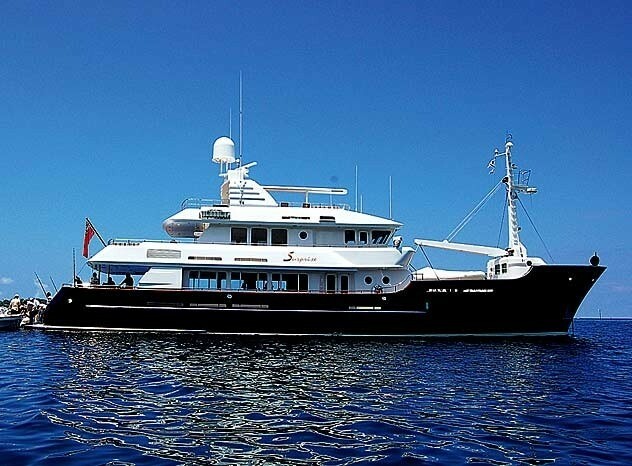 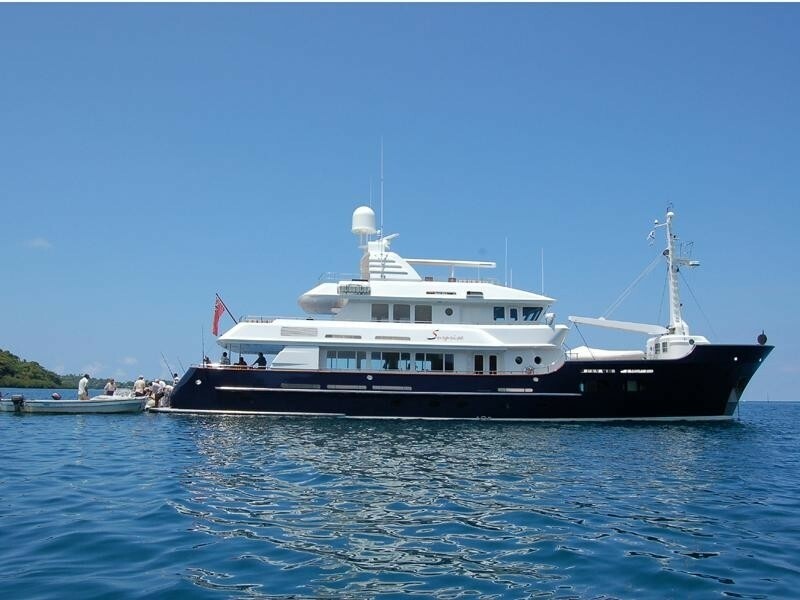 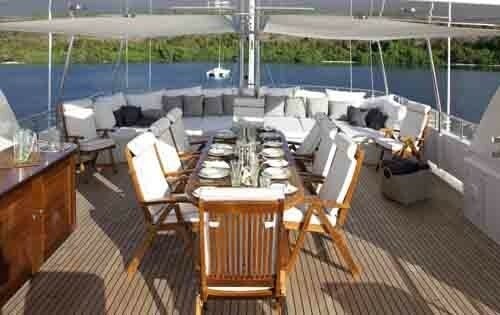 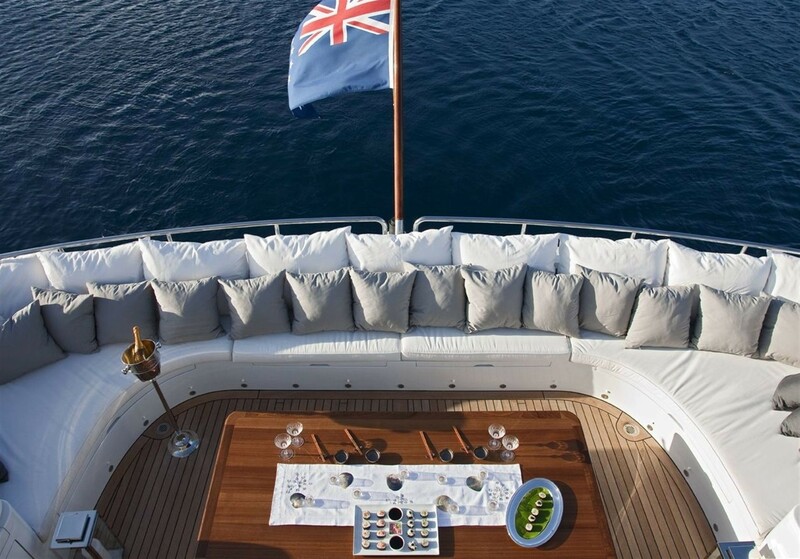 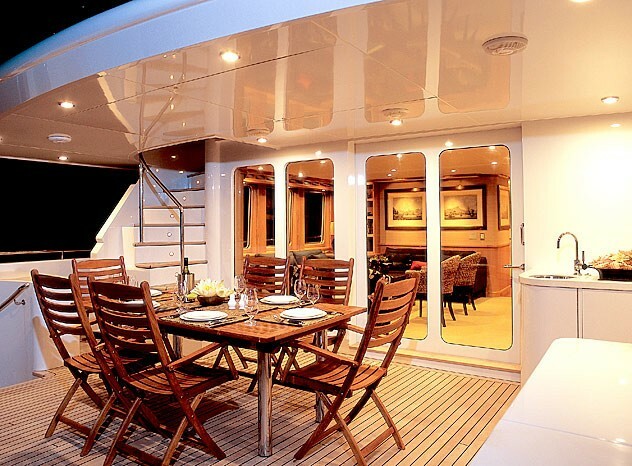 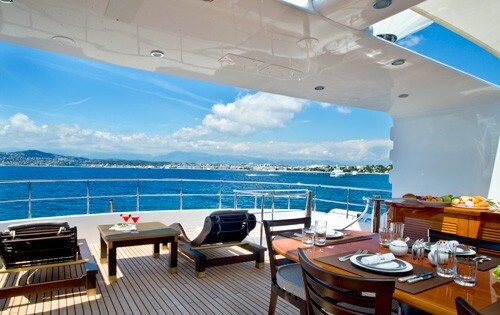 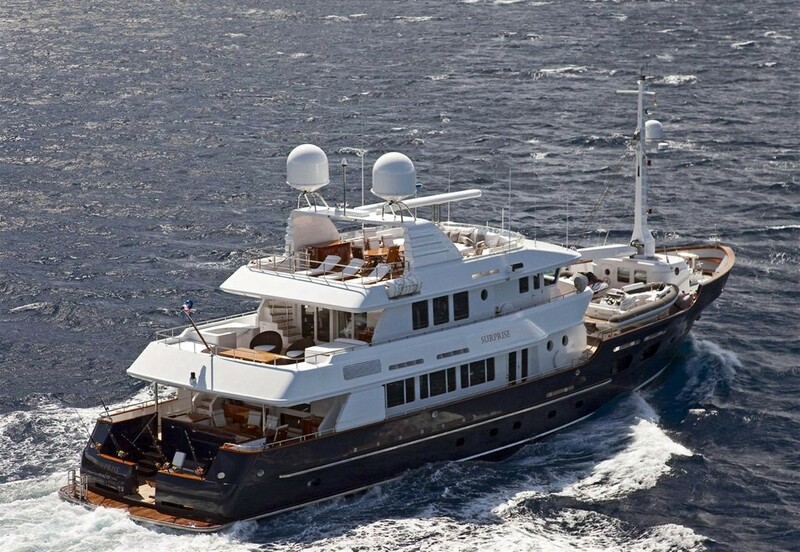 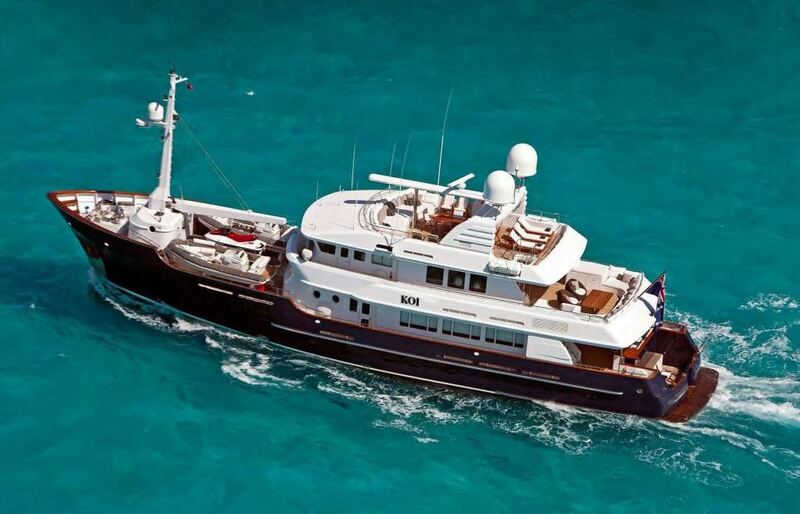 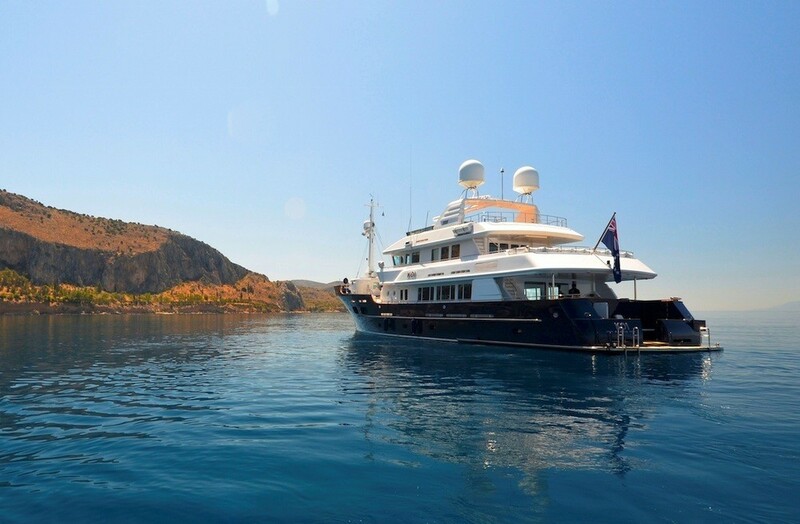 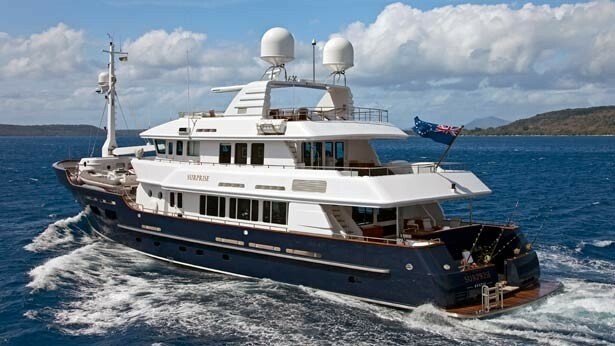 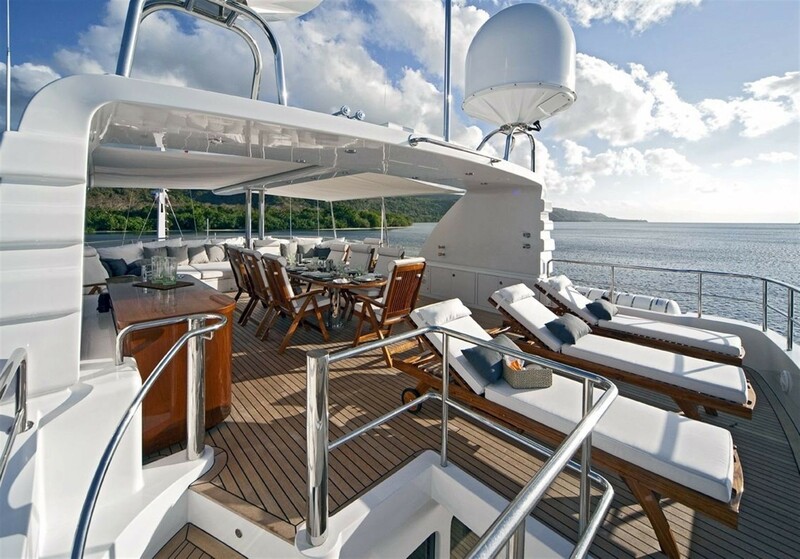 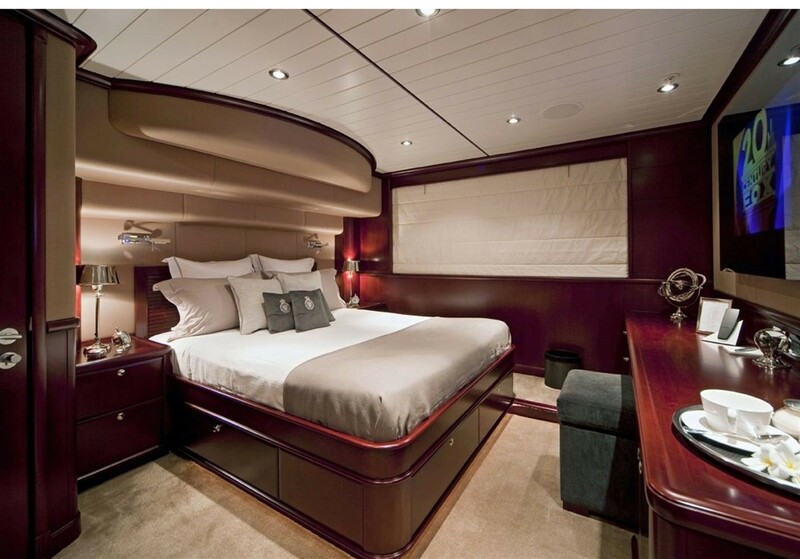 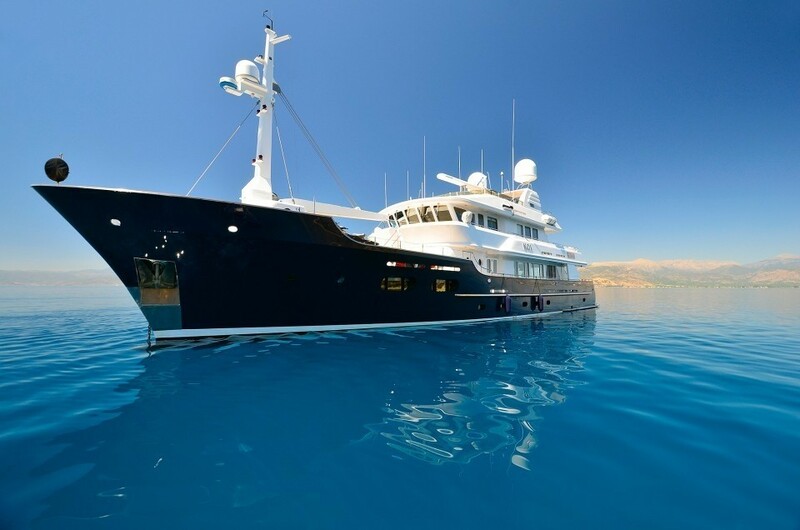 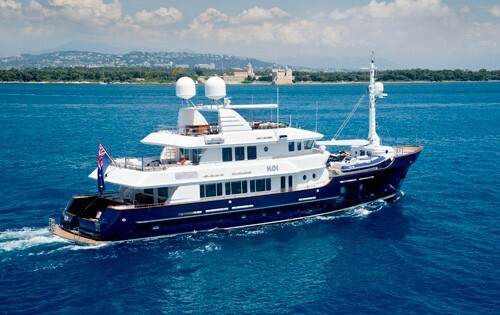 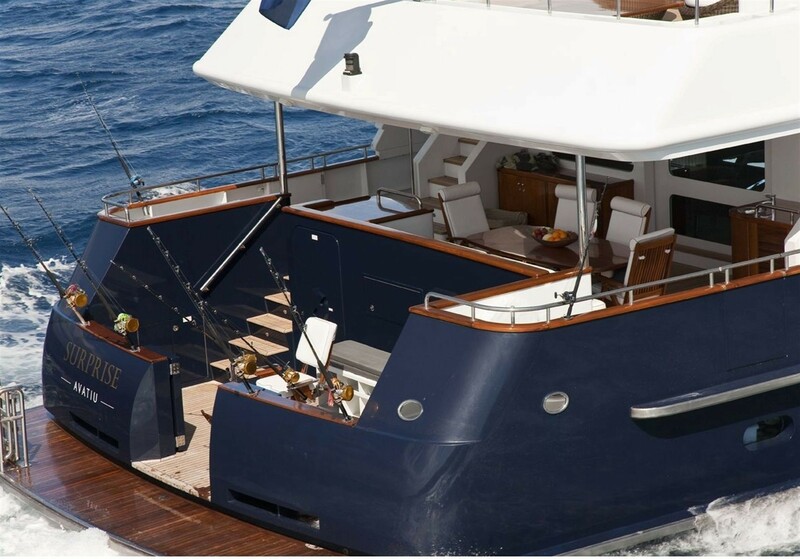 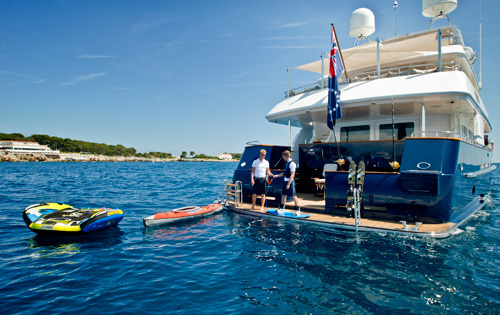 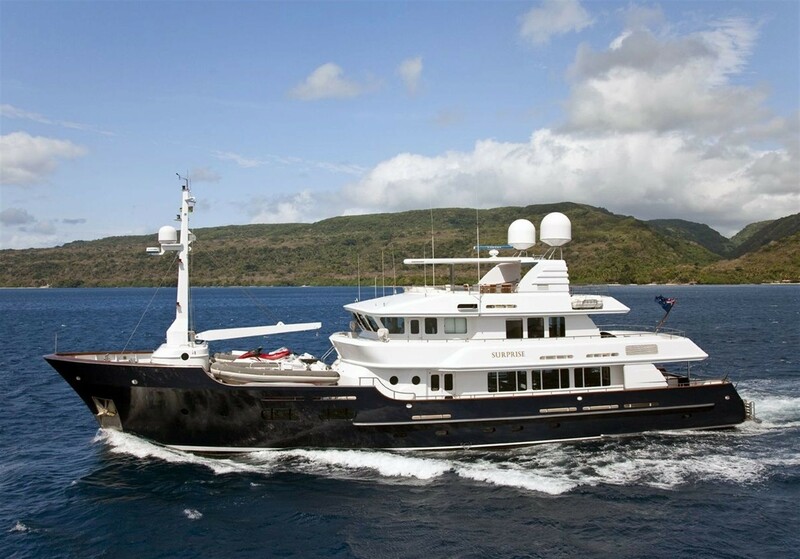 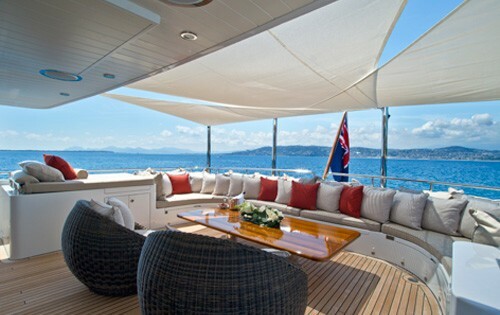 Mediterranean and Caribbean luxury motor yacht KOI (previously Surprise) accommodates 8 to 9 guests in four cabins. 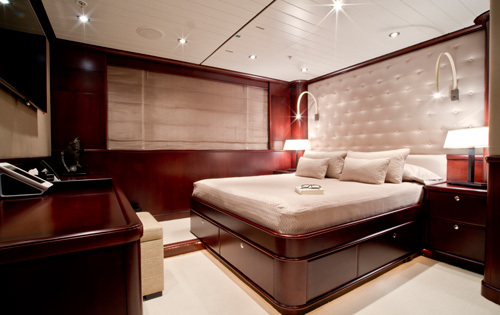 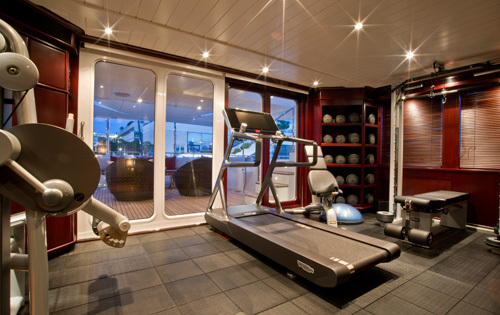 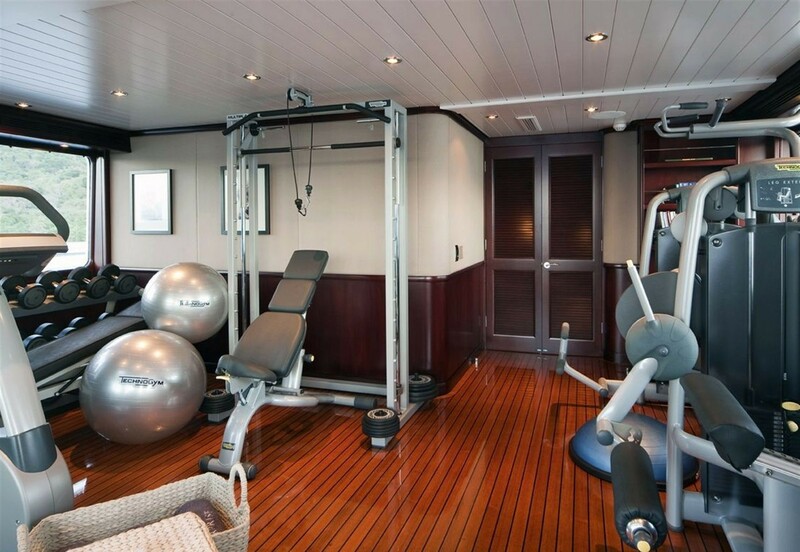 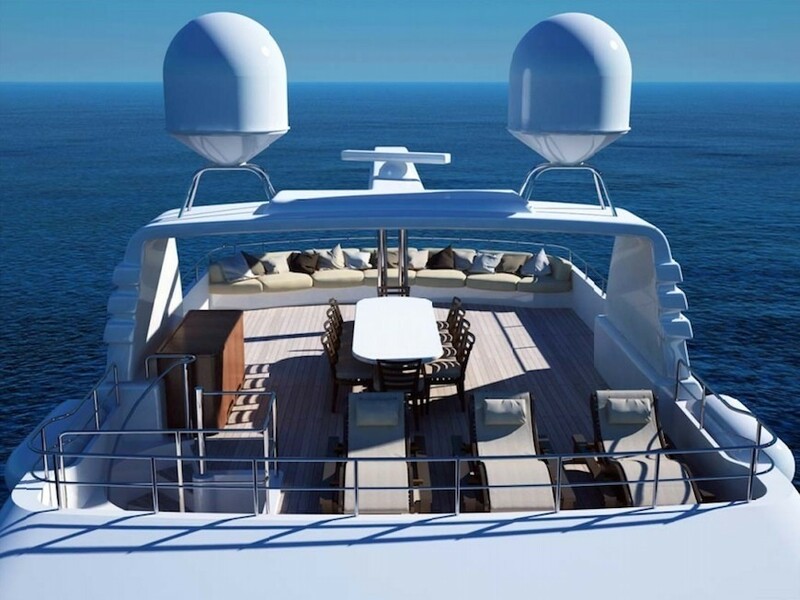 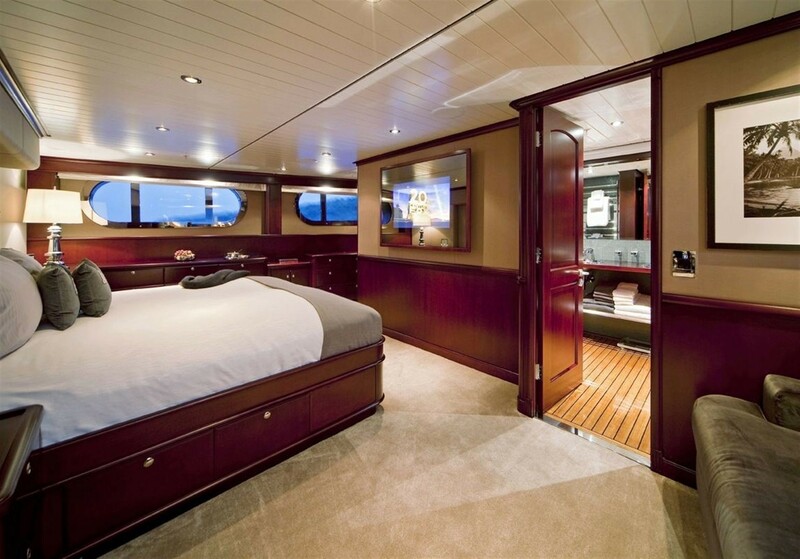 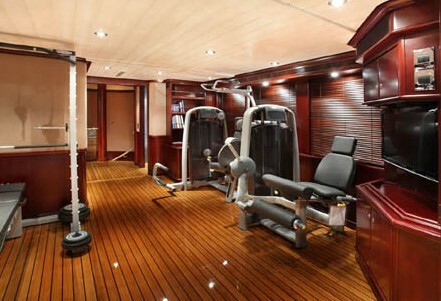 Her owner’s main suite occupies the full width of the yacht's superstructure and runs off the main deck. 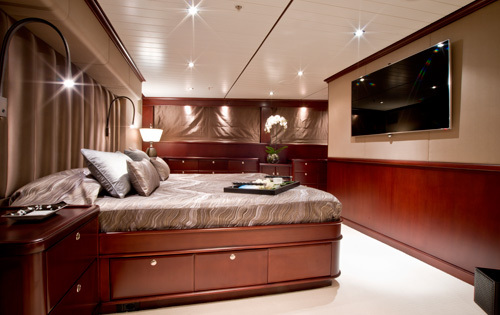 The main suite includes a private study, lounge area and bathroom ensuite and two large windows (port and starboard) provide a spectacular view. 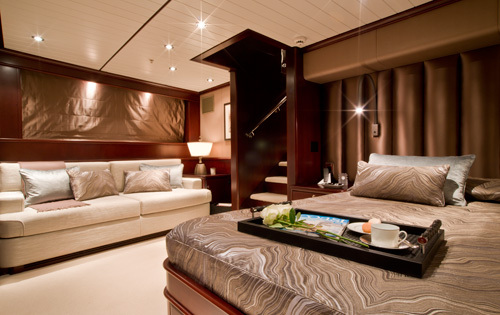 Luxury motor charter yacht KOI also has a further three lovely guest cabins, on the lower deck, which are conveniently accessible from the main lobby and the spiral staircase on the main deck. 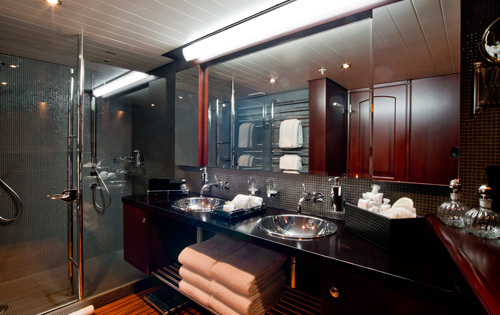 Two of the cabins have double berths and the third is twin bedded, with a fold down Pullman berth. 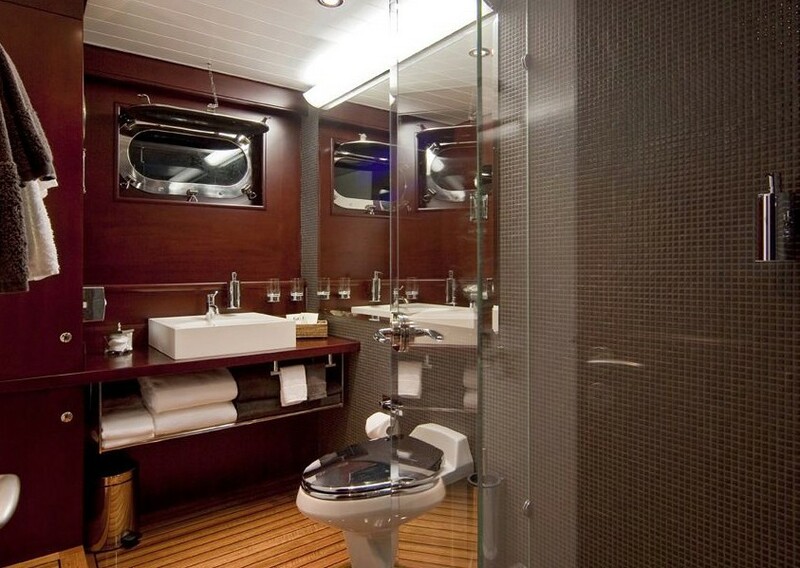 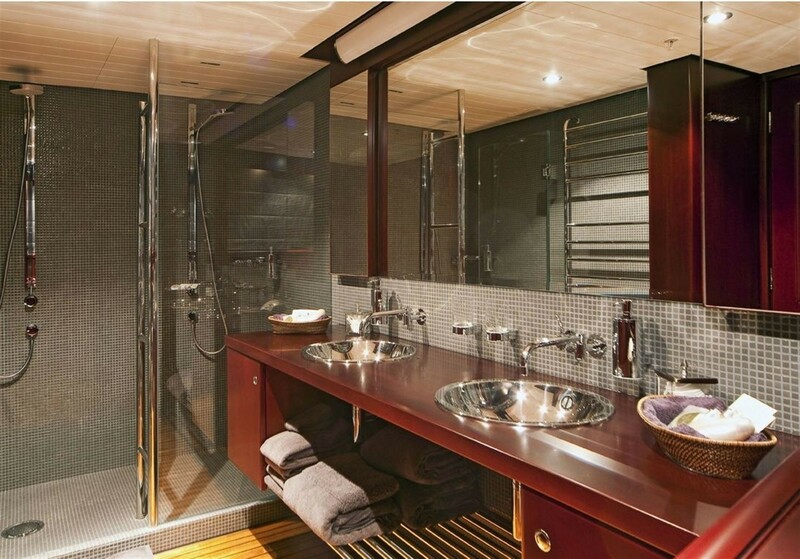 Each cabin has its own ensuites. 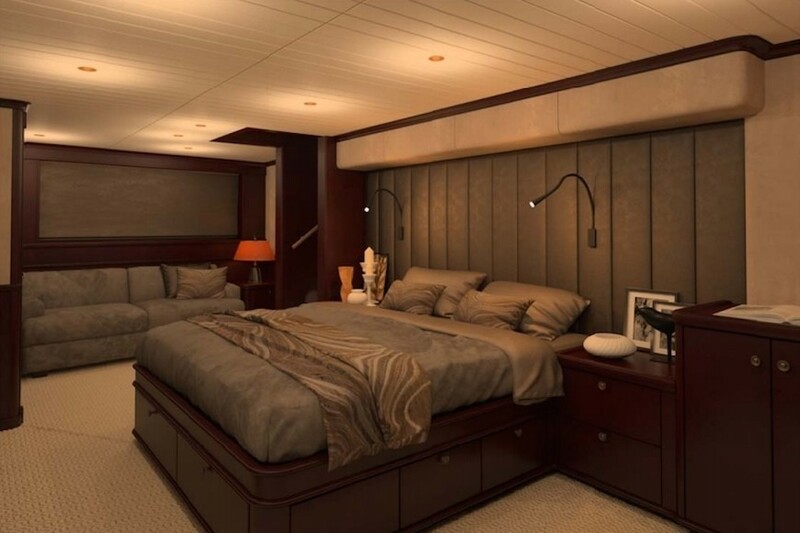 All of KOI’s cabins include full climate control and air conditioning, individual electrical entertainment systems, and phone and internet accessibility.